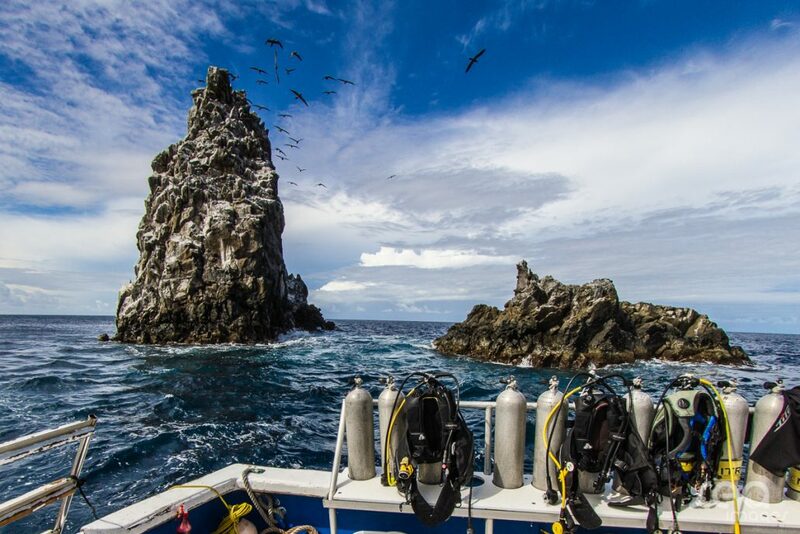 All 30 dive sites surrounding Saba can be reached by boat in a maximum of 25 minutes. The volcanic island of Saba has impressive formations above and under water. 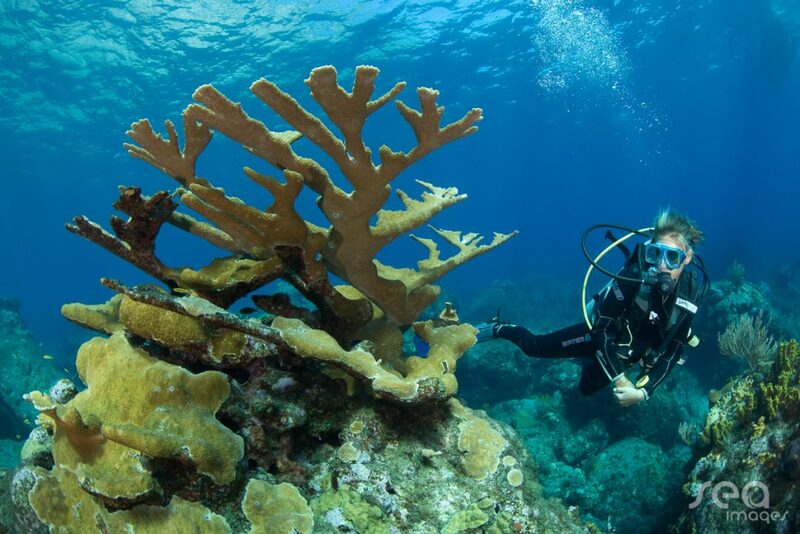 Under water you will find a high structural diversity, colorful coral, many sponges, sea grass fields and swim throughs. Due to the diversity of dive locations in terms of topography and depth, diving in the waters of Saba is suitable for all levels of certification. Saba is a small island, so when we go diving we are highly dependent on weather and ocean conditions. Depending on the conditions and on the level of certification of our divers, we decide which dive sites are available on a daily basis. Your safety comes first with us. But don’t worry about missing out. All dive sites are beautiful and have their own characteristics and diversity of marine life. Man o War Shoals – Unique in its topography with two pinnacles rising up from the bottom. The bottom is at 22 meters, from there you will see two peaks rising up until 5 meters below sea level. There is a spectacular swim through between the two rocks. 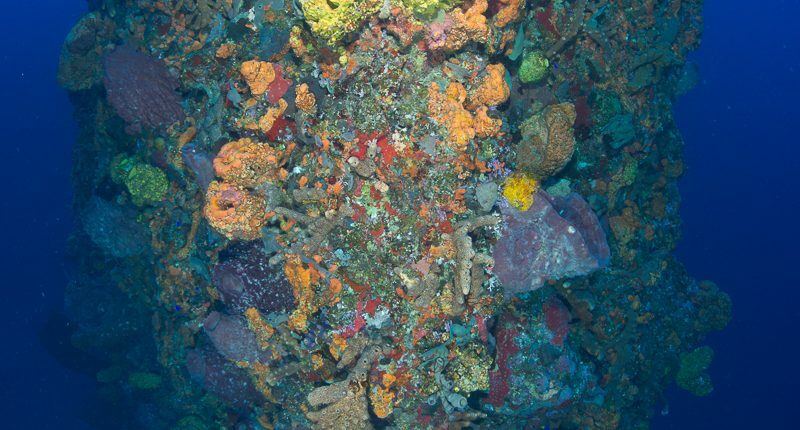 The abundant coral and sponges on this dive site are a stunning sight. You will most likely encounter barracudas and lobsters. Diamond Rock – Absolutely spectacular topography. An impressive reef ranging from 24 meters (bottom) with its peak above sea level. Completely covered with coral and sponges, it looks especially beautiful when the sun is out to display all the vibrant coulours. 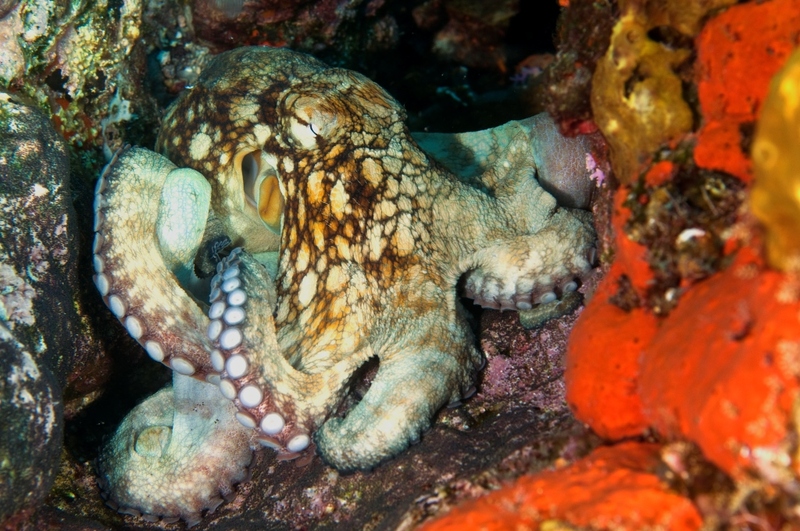 There is an incredibly high diversity of marine life on this dive site. Tent reef – A huge reef with several mooring lines that make it possible to dive all the corners of this beautiful reef. There is a steep wall going down to greater depth and a shallow part with a big plateau. There is so much to see at this dive site you won’t know where to look first. 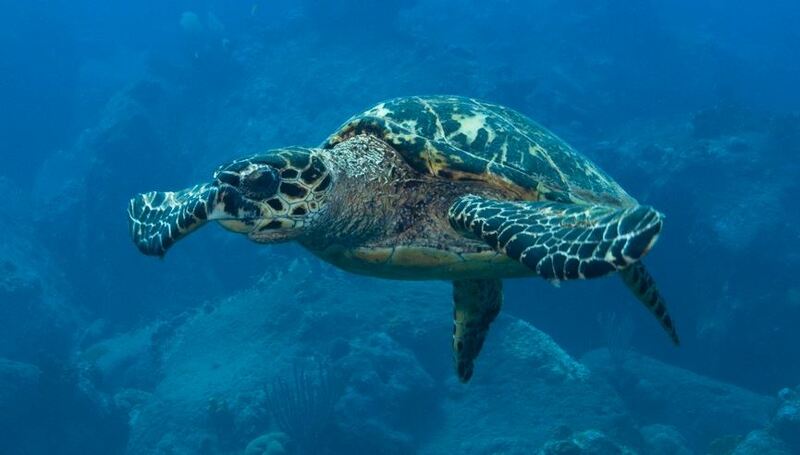 You are likely to see many turtles, sea horses, nurse sharks and the great barracuda. In the deeper part of the reef you might see different kinds of sharks. The shallow part is also a great site for snorkeling. 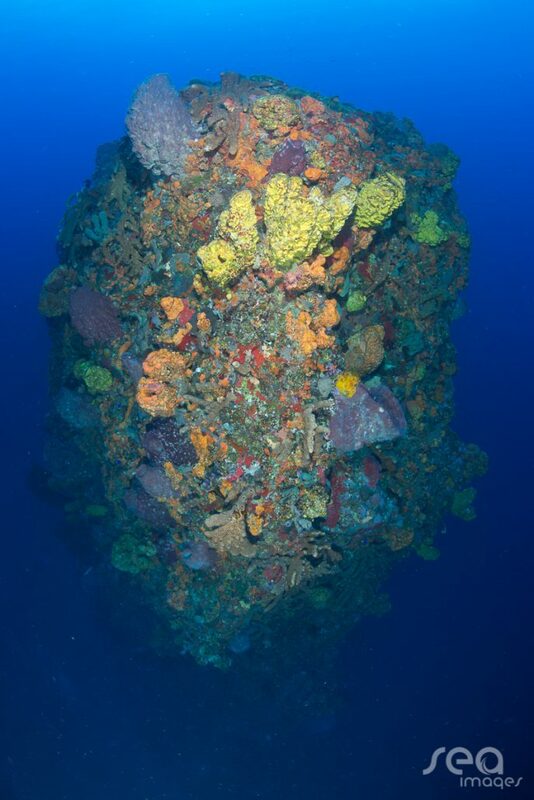 Hole in the corner – A completely different dive site at the windward side of the island. It contains a healthy reef with unique elkhorn coral colonies and many juvenile reef fish. The visibility is almost always excellent. Third encounter AKA The Needle – An impressive plateau that rises up from the bottom of the sea with a spectacular pinnacle in the shape of a needle which comes up to a depth of 30 meters. Only for experienced divers (Advanced Open Water minimum). Colourful corals are accompanied by great marine life, including bigger species such as sharks, rays and big groupers.